You won't know which way to run with the Bump & Go Zombie around! 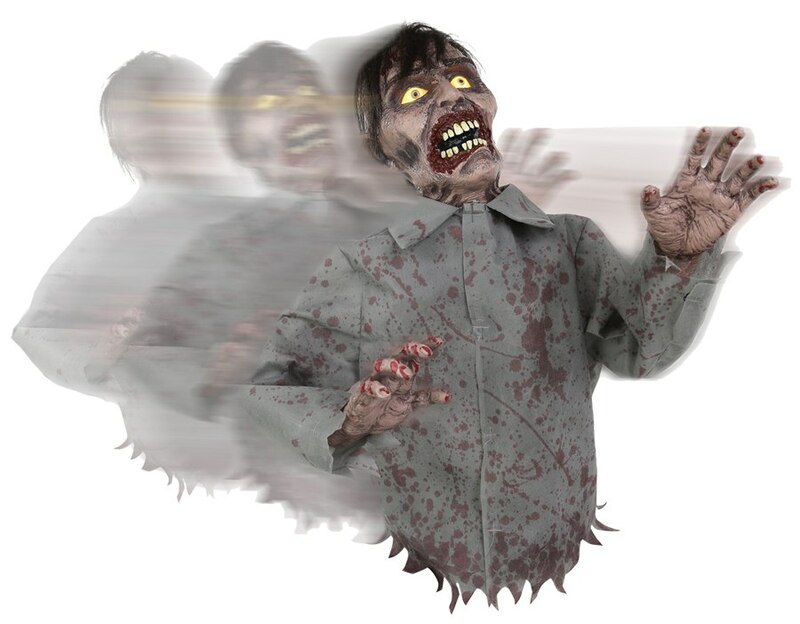 Standing at 24Ð²Ð‚â„¢Ð²Ð‚â„¢ tall, the Bump and Go Zombie is a sound-activated roaming character that features light-up eyes & a frightening repeating Zombie sound file, with posable arms and horrifically-blood-splattered torn shirt & plastic head & hands. Easy assembly, requires 4 AA batteries (not included). This ankle biter is sure to liven up any party!